(Current address: Devonport Road, Stoke, Plymouth. 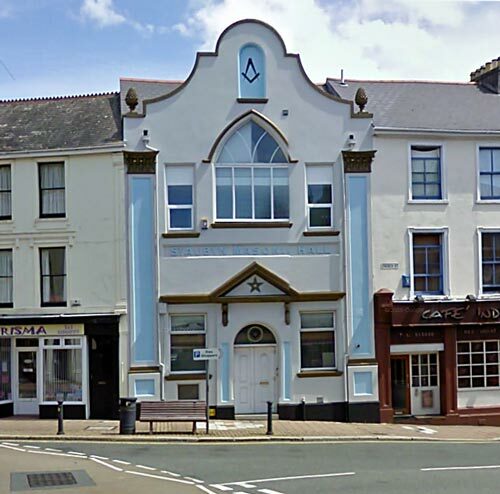 St Aubyn Masonic Lodge number 954 (formerly 1256) was inaugurated in 1863 in Morice Town, Devonport. Their masonic hall in the image above was built later, but the exact date remains to be clarified. The location of the hall was then of course in Devonport, but since 1914 reclassified as part of Plymouth. In 1914 the Lodge published a small booklet called 'Byelaws of the St Aubyn Lodge 954' , and it is from that booklet the following list of names were transcribed.